When I first began my journey though the ink-stained world of fountain pens, I approached every pen with wide, innocent eyes. I had very little experience with different brands. I delighted in the first-hand learning that came from inking up a pen from a manufacturer I had never heard of before. I still love getting a pen from a brand I have never used before, inking it up, and putting the nib to paper for the first time. There is a tender awkwardness the process, not unlike that of a first-time lover, stumbling through unfamiliar territory and just learning to explore a new, but wonderful, world. That first-time experience is more difficult to come by than it used to be, which is both good and bad. While I may not be able to feel those same, exciting first-time jitters I used to when I inked up a new pen, I am now more experienced—more sure of what I like and what I don’t. I have more fully-formed opinions about what I can expect from certain brands, even before I have dipped the nib into a bottle of ink for the first time. And for better or for worse, each interaction with a brand tends to color all subsequent interactions with that brand. 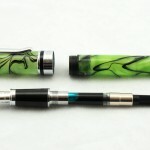 Such is the case with pens from the U.S.-based company, Monteverde. 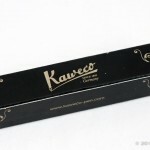 My first Monteverde pen was also part of my very first pen order from an online retailer. It was the Goulet-exclusive Invincia Deluxe Nighthawk. This pen was, and still is, a nice writer. Since I first got the pen, a touch of the black finish chipped off, but it is only a minor aesthetic flaw. Otherwise, it’s a nice pen. 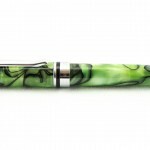 My next Monteverde pen was an Impressa with the Gunmetal and Red finish. 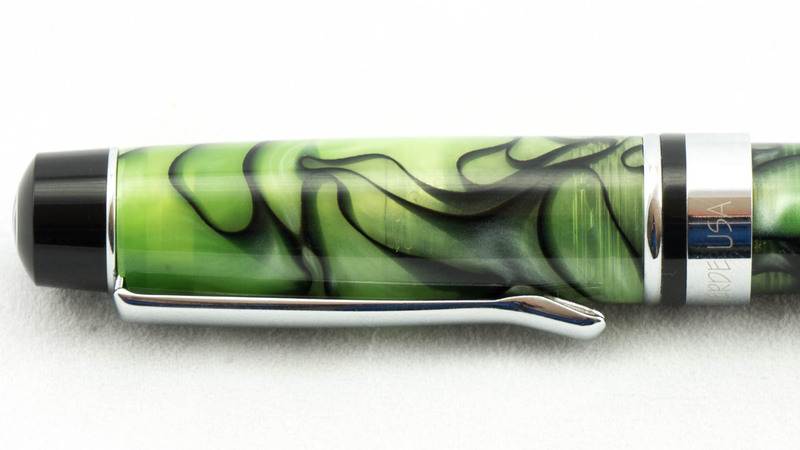 I loved this pen so much that it made my Top 5 of 2014. I regularly and vociferously recommended this pen to many people, and even bought/gave a couple Impressas as gifts. 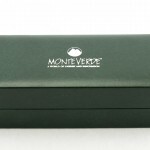 Between the Invicia Deluxe and the Impressa, I saw Monteverde pens as solid, moderately-priced pens with interesting designs that tended to write very well. As time went on, however, I began to see complaint after complaint popping up about the brand in the online pen communities that I frequent. People complained about the finish coming off their pens, or the pen writing poorly. 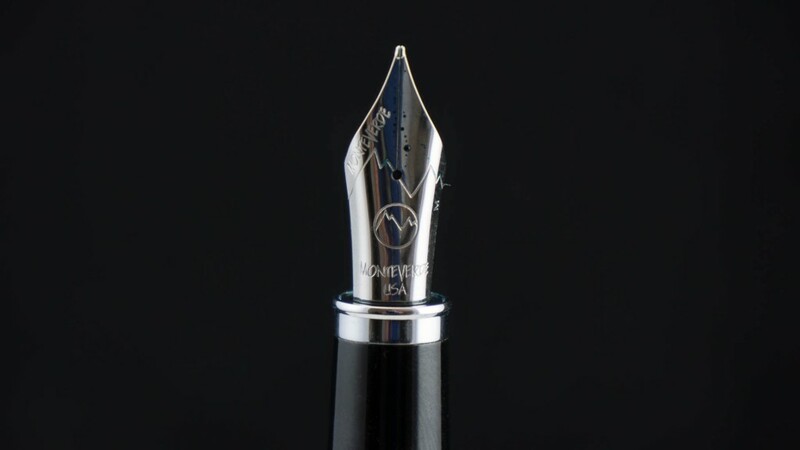 Monteverde discontinued the Invicia Deluxe Nighthawk due to manufacturing issues. Even my father, to whom I had gifted an Impressa, opened his pen case one day to find that the finish on his Gunmetal and Red Impressa had bubbled and flaked off the pen. Despite these whispers, when I was gifted my first Monteverde Prima, I was excited to get my hands on the pen, and to try it out. I fully expected to have another good experience with an attractive workhorse pen. 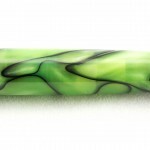 The Prima was a pen that I had sitting in my online wishlist, and was pretty high up on my list of next pens to purchase. So, when I was gifted the pen by a long-time friend of the Pen Habit (Thanks, Rob! ), I was thrilled. 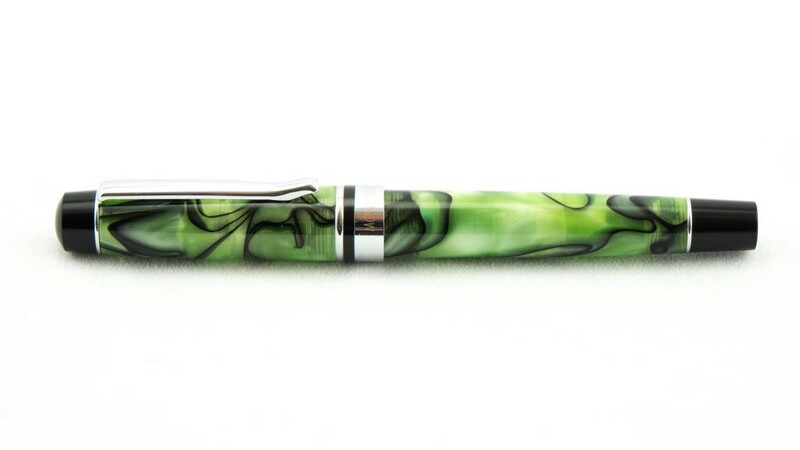 Made from a lovely, swirly, sherbet green, semi-tranlucent acrylic, the Monteverde Prima is an attractive pen deep with sheen and shimmer. The body of the pen feels solid and well-made. 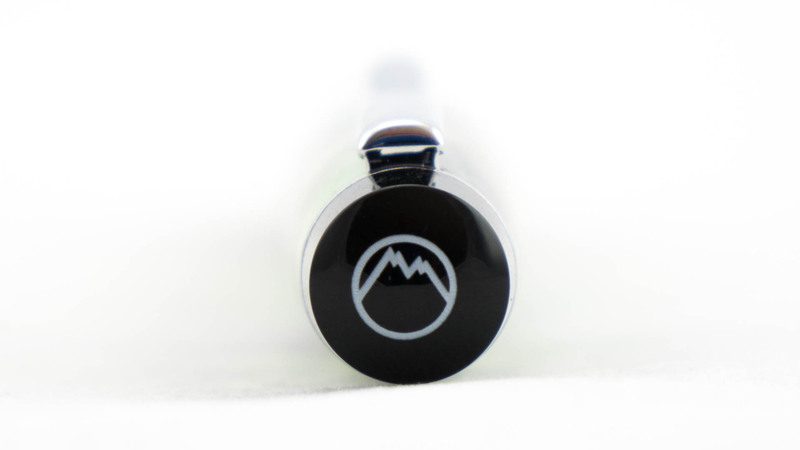 The cap’s rounded, black finial features a stamped, white Monteverde mountain logo. The folded-metal clip is very stiff (almost too much so), but will hold the pen securely in place if you can manage to get it over the edge of your shirt pocket. 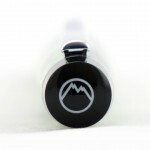 The chrome cap band features an inset black stripe, along with the words “Monteverde” and “Prima” laser-etched in the chrome. 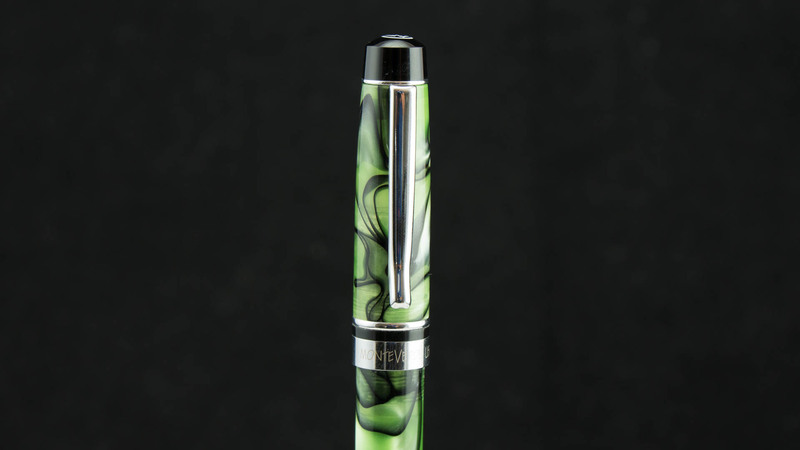 The pen’s barrel tapers toward the black, injection-molded plastic finial, which is separated from the green acrylic by a chrome washer. The washer also assists with the posting of the pen. Removing the cap (which takes 2 1/4 turns) reveals a black plastic-covered-metal section which tapers to a chrome metal flange. The section reminds me a bit of the type of sections that you find included with a pen-kit that a wood-turner might use—generic but usable enough. The Prima uses standard international cartridges and converters, and will accept both short and long cartridges. It also accepts SI converters that are threaded on the outside. Even though I have never had a converter come unattached inside the pen to any serious detriment, I do generally like the feel of the screw-in converters; it’s a nice bit of security. 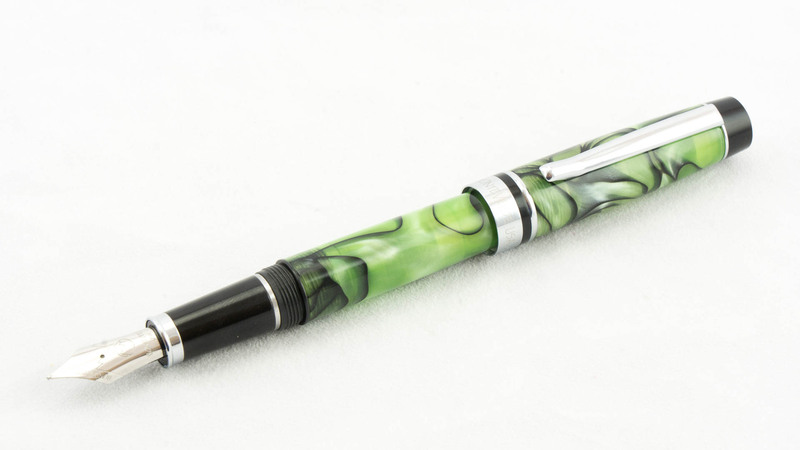 Before having inked up the pen, the Prima struck me as being solidly built and of good—albeit mass produced—quality. 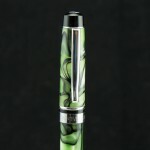 Contrary to what many might think due to my love of higher-end pens, I don’t mind a “mass-produced” pen at all. In fact, I really appreciate a mass-produced pen for its quality-to-value ratio, even if not “wowed” by its craftsmanship. 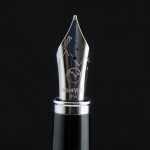 The Prima is clearly intended to be a moderately-priced pen that fits at the upper edge of the entry-level tier of fountain pens. When you get to the nib, though, that’s when things really begin to fall apart. 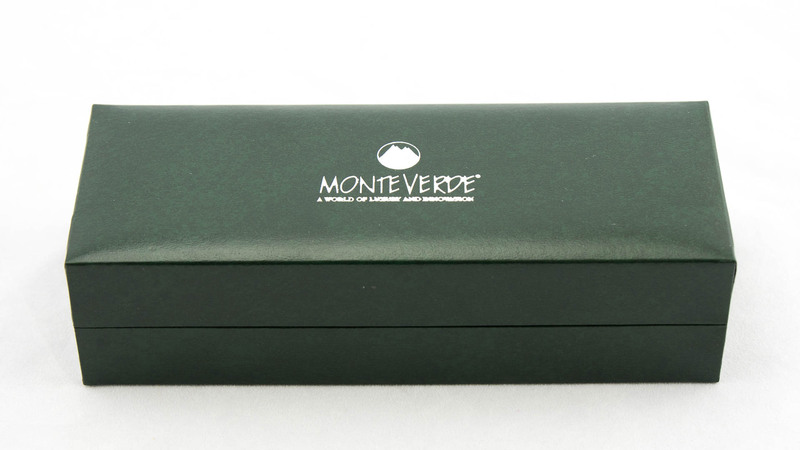 The Monteverde-branded steel nib that comes with the pen is a fairly generic #6-size which features the Monteverde mountain logo design. On my gifted Prima, the nib was a little rough, and the tines were slightly out of alignment, but both of these issues are easily fixible for me. Nib issues aside, however, the main problem was with the feed. This pen had the worst case of ink starvation I have ever seen. I would write a sentence or two, and before long the ink flow would dry up completely. I could prime the feed using the converter, and it would write again for only a couple of sentences before it stopped. I tried many, many things to resolve this issue. I flushed the pen with clean water, water with dish soap, and pen flush. I disassembled the pen and ran the whole thing through my ultrasonic cleaner. I tried using different converters. I tried several different inks. I tried using cartridges instead of converters. I even tried swapping out the Monteverde nib with a Goulet nib. None of these solved the issue. Before taking more dramatic actions, I contacted the retailer. I emailed twice and received no response. I then called Yafa’s repair department. (Yafa is Monteverde’s parent company.) They offered to send me a new nib unit, and took down my address. That nib unit never arrived, and voicemail left on a follow-up phone call was never returned. So, in the end, I was stuck with a completely unusable pen, and no means of getting it fixed. In a last-ditch attempt to resolve the issue, I used an exacto knife and attempted to widen the ink channels in the feed. Even that didn’t help. And eventually, the Prima found its way into the trash can. I thought that, perhaps, I had just gotten a rare dud of a pen. 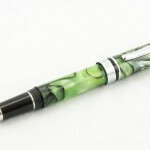 The Prima was still on my to-buy list, and I really did like the design of the pen. So, I purchased a new Prima from a different retailer (one in whose customer service I had far more faith.) This new pen also had pretty serious nib issues. The nib should never have made it past any kind of basic quality control. It was tremendously scratchy, and very roughly polished. Under magnification, I discovered that it had been so poorly ground, one tine was actually longer than the other! The only way to fix this nib would have been for me to do grind down the too-long tine and then do a pretty aggressive smoothing. It’s work I know ho to do, but by this point I was fed up. I reached out to the retailer, and they offered to help. In the end, though, I decided to swap out the Monteverde nib with a spare Goulet nib I had floating about for just such a purpose. At last, I had a pen that would write! With the Goulet nib in place, the Prima is actually quite a nice writer. It’s one of the few pens in my collection that I actually prefer to use posted. It is light enough and well-balanced enough that I am able to write long sessions without cramping up or tiring. The Goulet nib is smooth and the inkflow is consistent. The starvation issue I saw on my first Prima doesn’t appear to be present in this pen, fortunately. Now, it’s a nice pen…a pen I would actually use. It is also, likely, the very last Monteverde pen I will ever purchase with my own money. 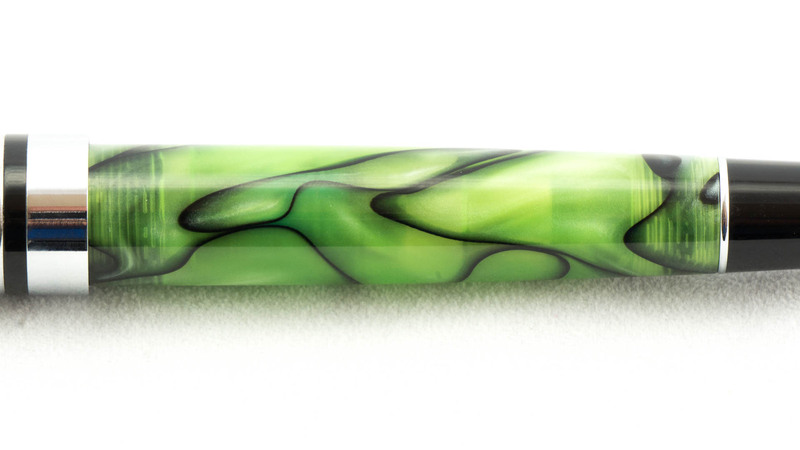 Like its sister brand, Conklin, Monteverde seems to have figured out the manufacturing of its acrylic pieces (barrels, caps, finials, etc. ), but is sorely lacking when it comes to nibs and feeds. 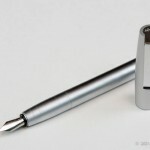 I have seen far too many complaints online, coupled with my own experiences, to be able to recommend the brand—especially not to new fountain pen users. 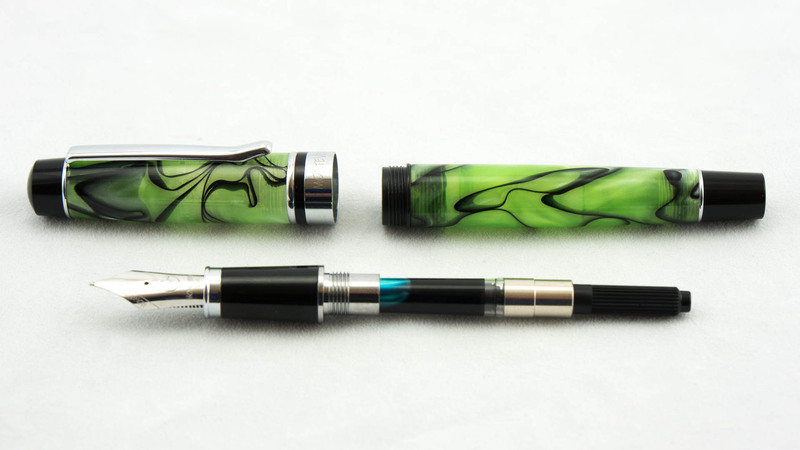 I’ll end this review as I ended the above video: with a message to Yafa and Monteverde: I think you have some truly lovely pens, especially for the price. But I would rather spend an extra $5-10 for a pen with a nib and feed that have been properly QC’d than save that much but have to play the writing instrument lottery. If you can figure out these consistency issues I have been seeing across your brands, you’ll have some very competitve (and highly desirable) pens in this price range. Until then, I can’t recommend this pen to anyone unless they really like the design and they’re comfortable working on/swapping out nibs. And that’s unfortunate. 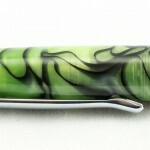 If you can get your QC figured out, you’ll have some truly killer pens.